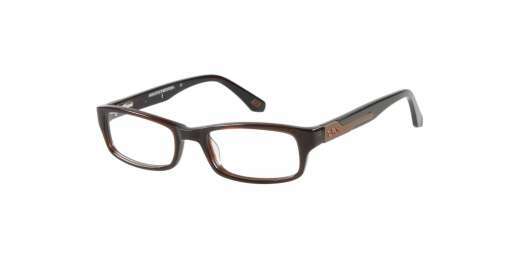 Looking for glasses that will fit your kid's narrow to medium face just right? Look no further than the Skechers SE1061. Made specifically for narrow to medium faces, the SE1061 features a saddle bridge and a full-rim design. It comes in Dark Blue/Crystal, Dark Brown/Crystal, Dark Olive/Crystal, and Shiny Black to go with just about any look. A rectangle silhouette further enhances their fun style. Glasses have never been this much fun. Shop the SE1061 today.